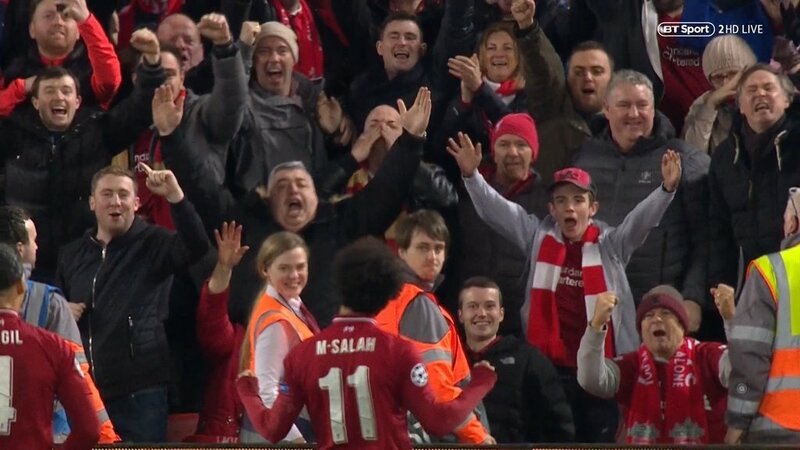 Mohamed Salah’s wonderful solo goal ensured Liverpool progressed to the knockout stages of the Champions League with a 1-0 win over Napoli. Despite losing all of their matches on the road, the Reds finished on 9 points after winning the 3 corresponding fixtures at home and qualified on the basis of their superior head to head record against the Italians, who finished with the same number of points and suffered their only loss of the tournament last night. After his hat-trick against Bournemouth over the weekend, Salah did the job again for the hosts when he left the towering Kalidou Koulibaly stumbling in the box with a quick feint and then calmly slotted in the ball past goalkeeper David Ospina to send the Anfield crowd into madness. Even though the Egyptian forward once again refused to flash his famous smile and celebrated with a serious expression on his face, his decisive strike was enough for Liverpool fans to go home grinning.